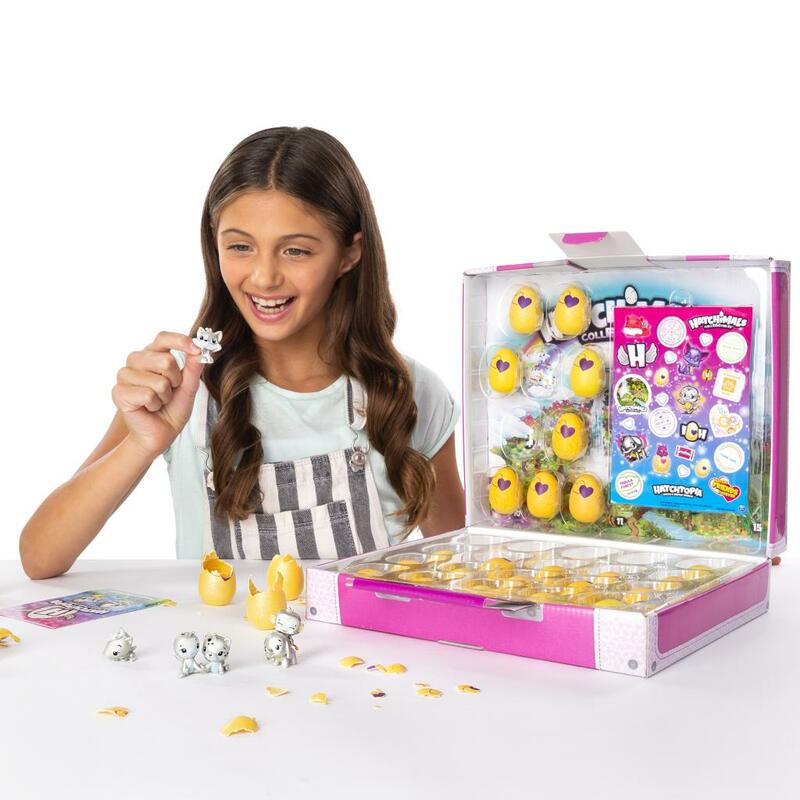 Ready for a magical EGG-pedition? Travel all over Hatchtopia with your Hatchy Suitcase! 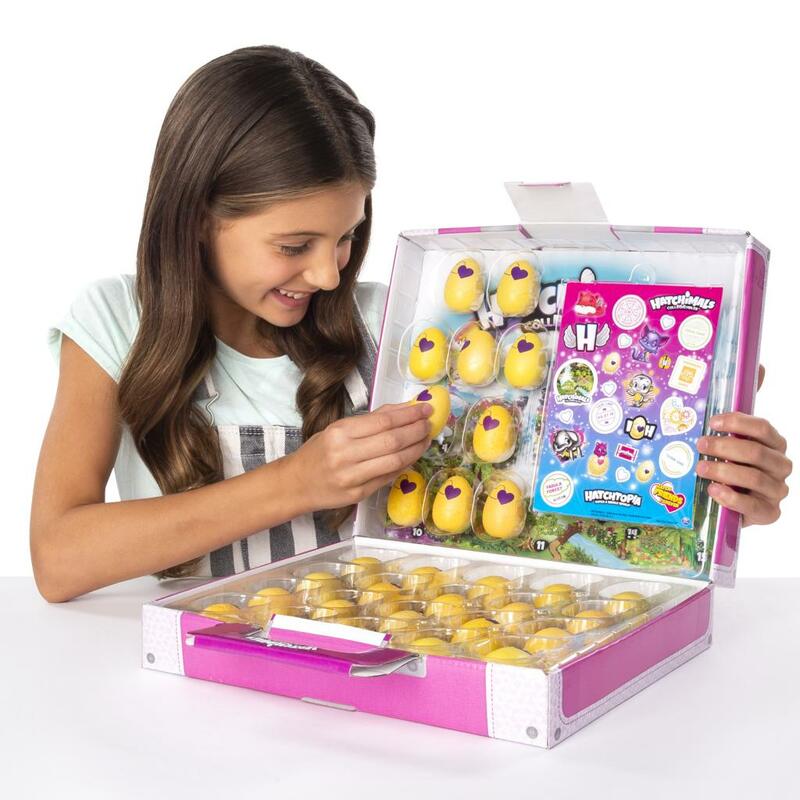 This suitcase is packed with 30 adorable Hatchimals CollEGGtibles! 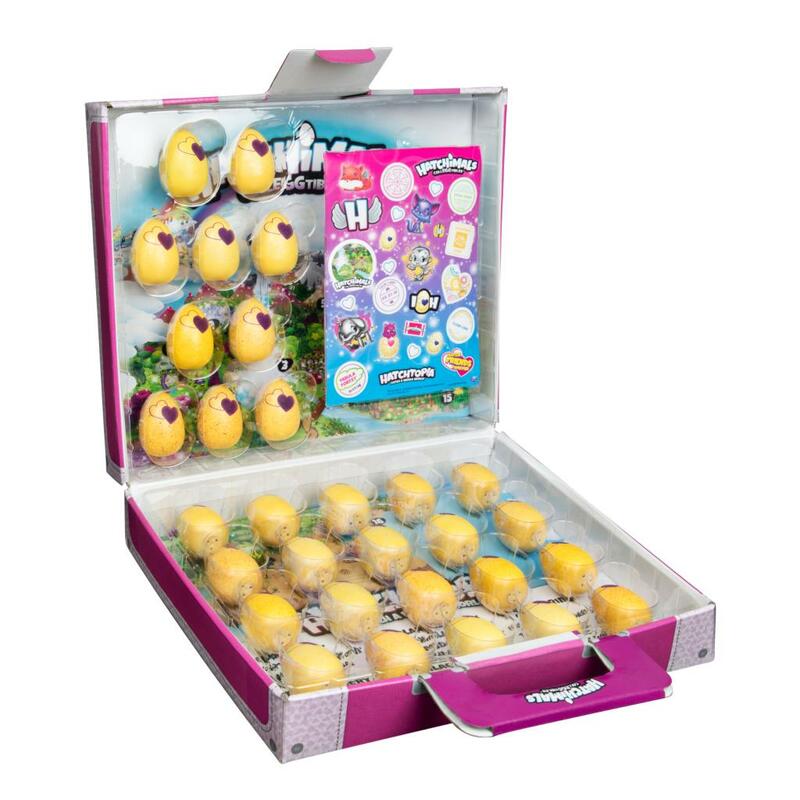 Open it up to discover super pretty pastel-yellow eggs! You could hatch adorable new characters and even best friend duos that connect to create cute poses! You’ll also find a fun, travel-themed sticker sheet and “passport” to Hatchtopia! To begin your magical journey, start hatching! Hold each speckled egg in the palm of your hand and use your love and care to warm it up. Once the heart changes from purple to pink, gently press down to crack the shell and meet your new friend or friends! 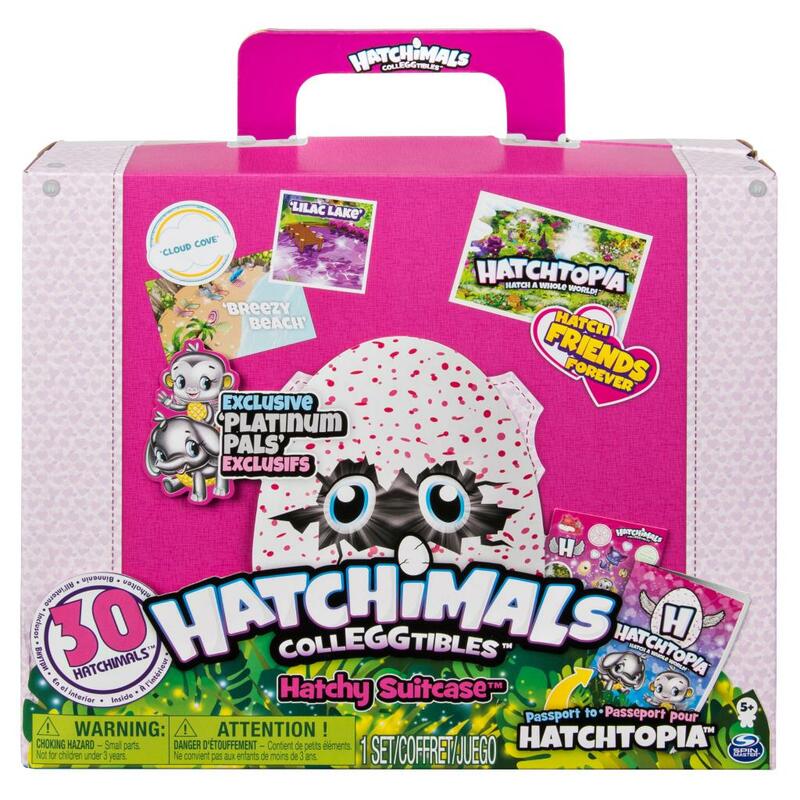 As you hatch all 30 Hatchimals CollEGGtibles take out your “passport” and use the checklist to keep track of all your characters. You’ll find friends from Garden, Forest, Savannah and more. With a helpful map hidden inside your suitcase, you’ll get to know all of the magical places in Hatchtopia! This suitcase even comes with exclusive Platinum Pals! 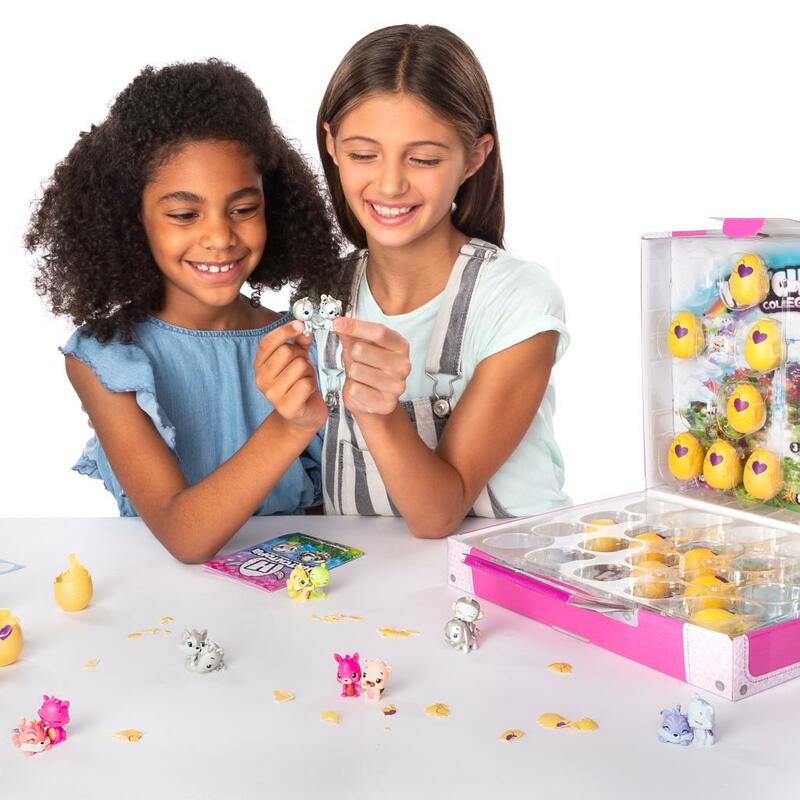 These adorable characters have a pretty metallic sheen and can connect to form cute poses! They’re the ultimate addition to any collEGGtion. With your “passport” in hand, where will you go in Hatchtopia? Hatch a whole world with the Hatchimals CollEGGtibles Hatchy Suitcase! 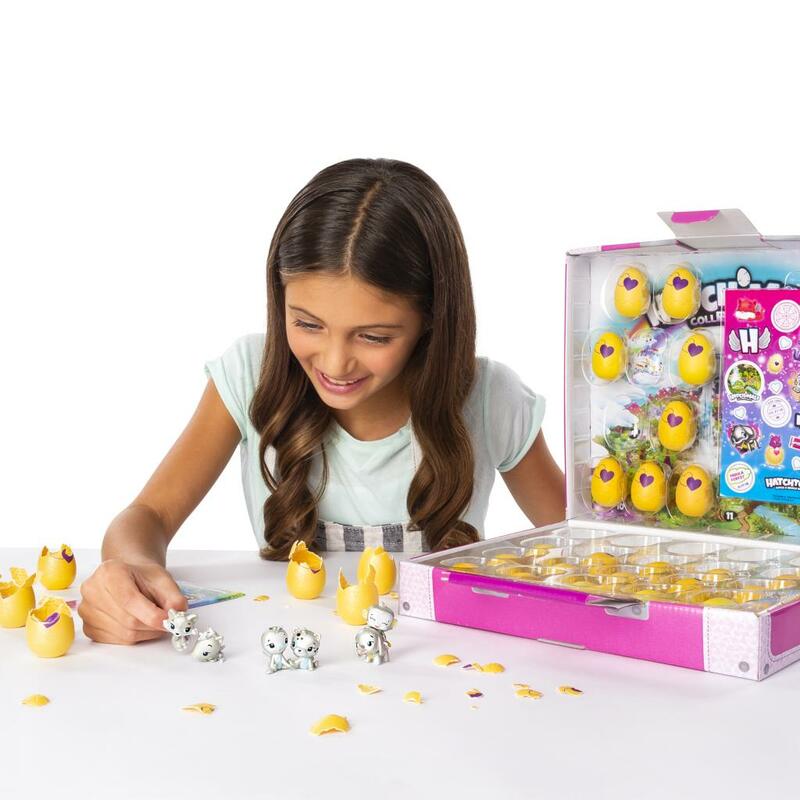 30 HATCHIMALS COLLEGGTIBLES: It’s the ultimate way to discover Hatchimals CollEGGtibles! 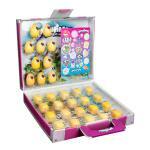 Find 30 Hatchimals CollEGGtibles inside the Hatchy Suitcase! You could hatch adorable new friends, and even exclusive Platinum Pals! Connect them together for form adorable best friend poses, like piggyback rides, hugging, whispering secrets and more! HOLD, HATCH, PLAY: Be hatch friends forever! To start hatching, hold one egg in the palm of your hand and use your love and care to rub the egg. Once the color-changing heart turns pink, gently press down to crack the shell and meet your new friend! PASSPORT TO HATCHTOPIA: Where will you travel in Hatchtopia? Open up your suitcase to discover a passport that doubles as a checklist! As you hatch your new friends, use the checklist and the map of Hatchtopia to discover where they’re from! You can even use the included stickers to decorate your passport! 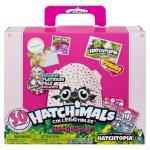 Hatchimals CollEGGtibles Hatchy Suitcase is a great gift for kids aged 5+. Hatch a whole world and be hatch friends forever!